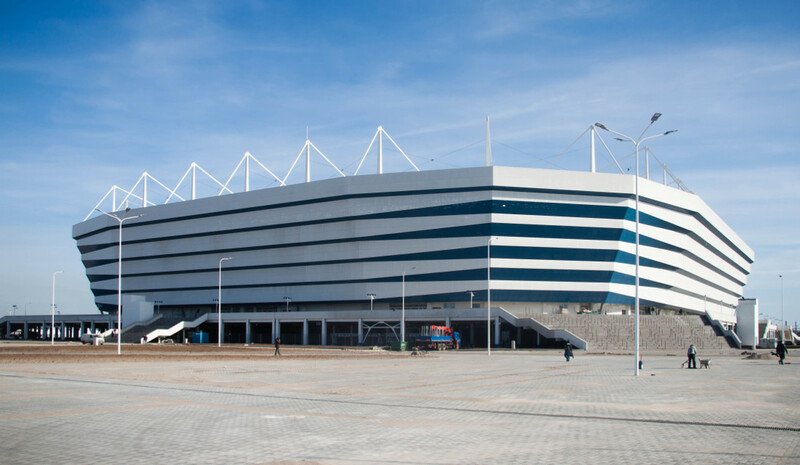 Kaliningrad Stadium, also known as the Arena Baltika, is a newly opened stadium in the city of Kaliningrad. It was built to be one of the playing venues of the 2018 World Cup and the new home of FC Baltika, who previously played at the modest Baltika Stadium. Construction of Kaliningrad Stadium started in September 2015, making it the last Russia World Cup to get under way. Delays had plagued the project, caused by financial difficulties and the bankruptcy of the company responsible for the design. Initial plans had aimed for a capacity of 45,000 and a retractable roof, but these had to get scaled back to a simpler design with 35,000 seats, of which 10,000 will be removed after the World Cup. 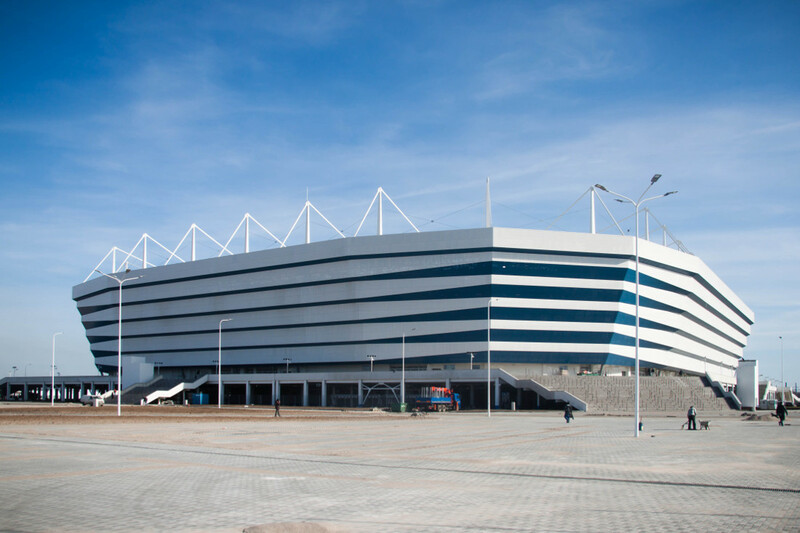 Kaliningrad Stadium eventually opened on 11 April 2018 with a league match between FC Baltika and Krylia Sovetov (1-0). During the World Cup, Kaliningrad Stadium is scheduled to host four first round group matches. Kaliningrad Stadium is located just west of central Kaliningrad on Oktyabrsky Island in the Pregolya river. It lies less than 2 kilometres, or 20 minutes walking, from Konigsberg Cathedral, one of Kaliningrad’s major landmarks. Central Victory Square, located further north, is located another 1.5 kilometres further away, which will take a little longer than half an hour to walk. Kaliningrad’s main railway station lies south of the centre, about 2 kilometres from the stadium so less than 30 minutes walking, though international trains are slow and rare. Multiple buses run through central Kaliningrad connecting Victory Square with Konigsberg Cathedral and the railway station, including trolleybus 1 and 5. Get off at Konigsberg Cathedral and walk to the stadium. Once building works are finished, more convenient connections may become available. Kaliningrad is part of a new development on Oktyabrsky Island in the Pregolya river. It is currently still mostly a large building site, but will eventually turn into an area of residential units, parks, and quays. But even now, it is only a short walk away to the pleasant area around Konigsberg Cathedral, including a strip along the Pregolya River with a number of restaurants. There are more bars and restaurants a little further north along Leninskiy Prospekt, the main avenue, leading up to Victory Square. There are no hotels directly near Kaliningrad Stadium, but various apartment rentals in the residential neighbourhood adjacent to the site. The closest hotels are the well-rated Kaiserhof Hotel and Skipper Hotel on the Pregolya riverbank near Konigsberg Cathedral. Kaliningrad Hotel and ibis Kaliningrad Center, both at the southern end of Leninskiy Prospekt, will also be good options if you’re looking for something centrafcl at walking distance from the stadium. There are a few more hotels in the city centre, though overall Kaliningrad isn’t packed with hotels. Apartment rentals can be a good alternative though. Click here for an overview of hotels near Kaliningrad Stadium and here for hotels elsewhere in Kaliningrad. Fc-baltika.ru – Official website of FC Baltika Kaliningrad. Visit-kaliningrad.ru – Kaliningrad tourist information.